Without a burning bush, how do you know God is directing you? Today, my guest and I discuss this question. Andy McClure has held a number of interesting positions including working on air at a local radio station, public address announcer, pastor, and managing a ReStore for Habitat for Humanity. I invited him to be on the show after we met at a Habitat conference. His story will be a helpful one. God doesn’t always speak in the burning bush. He’ll say something very quietly through someone else and you just nod and say that’s it. 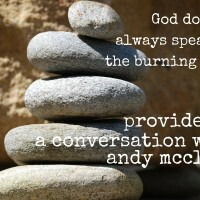 God’s providence is all over Andy’s life. His childhood was difficult due to parents who were separated leaving him with no father figure. God provided one for him in a pastor who just happened to have kids the same age living down the street. As he grew up, Andy made friends with another pastor who mentored him in the early years of his faith. When he felt called to move to Colorado, God provided housing, funding, and a church in miraculous ways. Listen to hear his full story. It comes down to one simple issue: relationship. It’s amazing how God will take some of those pains, and those hurts, and those brokenness issues and now they become your greatest asset. In broadcast I was sharing headline news now all I’m doing is sharing the Good News. It’s a similar job and the only question is what story I’m going to tell. 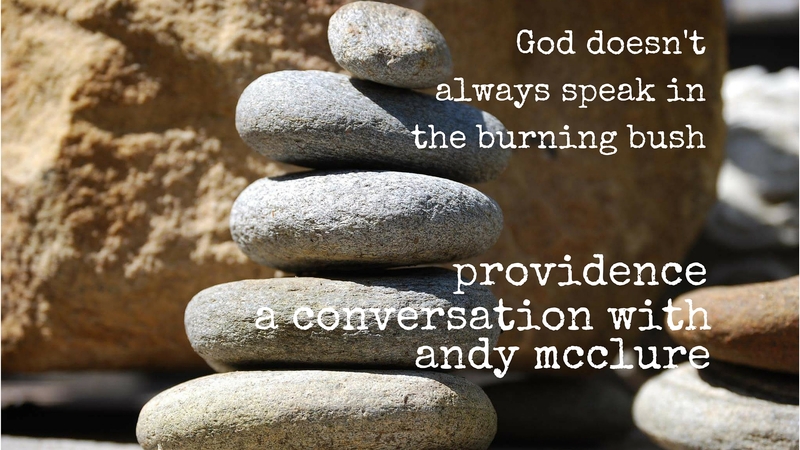 Did you enjoy hearing Andy’s story of the Lord’s providence in his life?